When I was in college, I had a class with a girl whose entire American literature experience revolved around Transcendentalist texts. She went to a private school and had most of her classes outdoors. I found her and this outdoor learning concept fascinating. I would bring up the topic any chance I got so she could regale me with the idyllic scene of reading in the plush grass or writing to the ambiance of birdsong. While I'm obviously romanticizing what outdoor learning is like in real life, I have found that a change in scenery can be both good for the soul and the standards. A. Varying study locations improves retention. In the New York Times article "Forget What You Know About Good Study Habits" Carey reports, "Psychologists have discovered that some of the most hallowed advice on study habits is flat wrong. For instance, many study skills courses insist that students find a specific place, a study room or a quiet corner of the library, to take their work. The research finds just the opposite. In one classic 1978 experiment, psychologists found that college students who studied a list of 40 vocabulary words in two different rooms — one windowless and cluttered, the other modern, with a view on a courtyard — did far better on a test than students who studied the words twice, in the same room. Later studies have confirmed the finding, for a variety of topics." 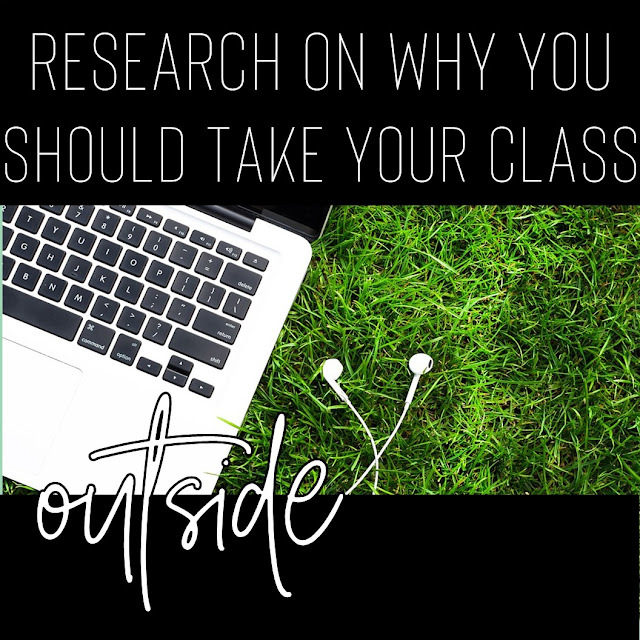 Now, these studies don't specify outdoor from indoor, but if you are going to change your classroom location, why not take it outside!? Further evidence below. B. Nature increases brain function. Whether you are looking for more creativity or better focus, nature is the answer. From the article "How Nature Can Make You Kinder, Happier, and More Creative" Suttie summarizes research on how nature affects the brain by reporting, "Prior studies have suggested that nature itself may play an important role [in increasing attention, creativity, and brain fuction]. One in Psychological Science found that the impact of nature on attention restoration is what accounted for improved scores on cognitive tests for the study participants"
C. Open Air Promotes an open mind and freedom of expression. For more of an unobvious benefit to outdoor learning, a fascinating study reveals that ceiling hight confines our thinking. If you can't raise the roof in your room, then take a note from Brukley at Psychology Today since "high ceilings unconsciously activate thoughts of freedom, which causes the brain to think in the abstract and to consider how things are related and integrated, [go outside because] nature, of course, has no ceiling. So by being out in the open air, it may prime your mind to 'think outside of the box' and 'shoot for the stars.' "
So now that you have the why, let's get into the how! 1. 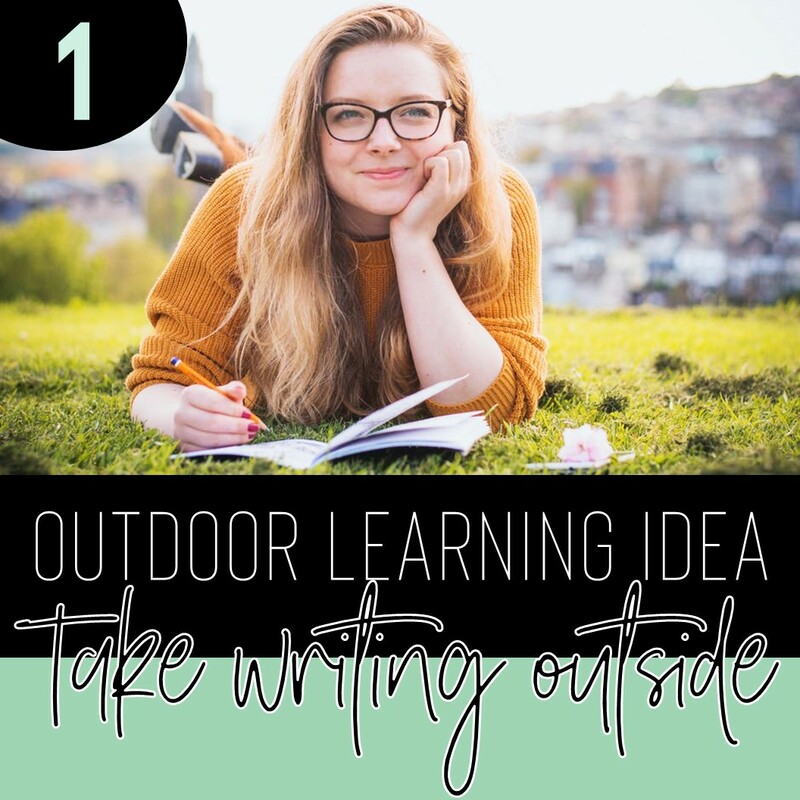 Take writing classes outside for inspiration! The school day often forces teachers and students to be inside all day long. This is neglecting an important need all humans have to be outside. There are other things we neglect in the classroom too. Sir Ken Robinson in his TED Talk, Do Schools Kill Creativity, argues schools neglect the arts. In the article, We Need to Stop Neglecting Fiction, Amanda Werner argues schools neglect creative writing forms such as fiction writing. 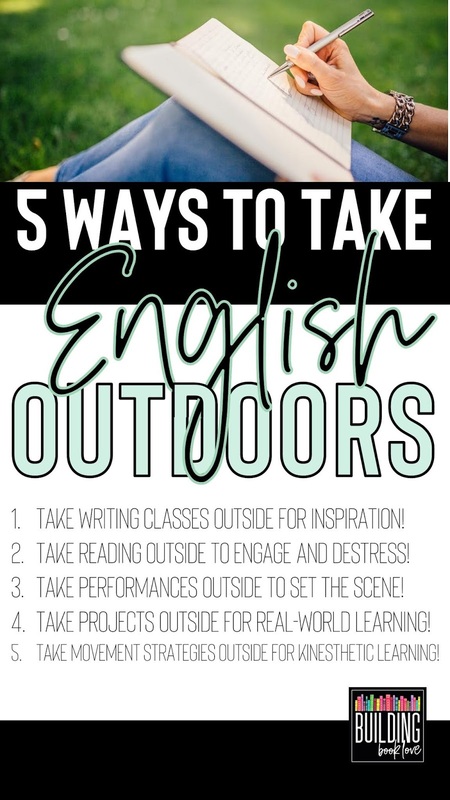 So what can you do to get your students involved in more creative activities such as writing fiction while outdoors? Small groups of students could rotate outdoors for a little fresh air. You may worry that they won’t be on task. 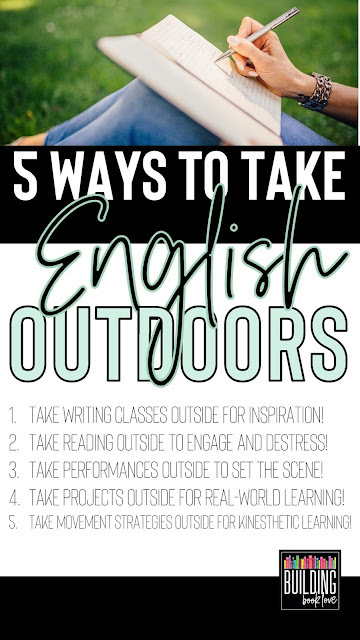 But, when students are doing something that is thoroughly engaging, they are less likely to be off task while outside. This Fiction Writing Unit for Middle School can help you integrate more creative forms of writing in your classroom. Students will be too engrossed in their creative stories to be off task. Lauralee at Language Arts Classroom adds, nature provides plenty of opportunities for observation, which is exactly what creative writing scholars need. The angle of a bird, the twitch of a leaf, and the sound of the breeze are perfect opportunities to practice writing. Give students guidelines for their creative endeavors and watch them soar! For example, write pieces of a narrative outside, especially in different locations. First, start with the basics of narrative writing, and then ask students to brainstorm a list of scenes for their paper. Take a tour outside, jotting notes and sharing ideas as you move. If students do get distracted, give them a warning and if the off-task behavior continues then send them back into the classroom. Students will want to stay outside, this incentive will keep them working hard, to do just that. 2. 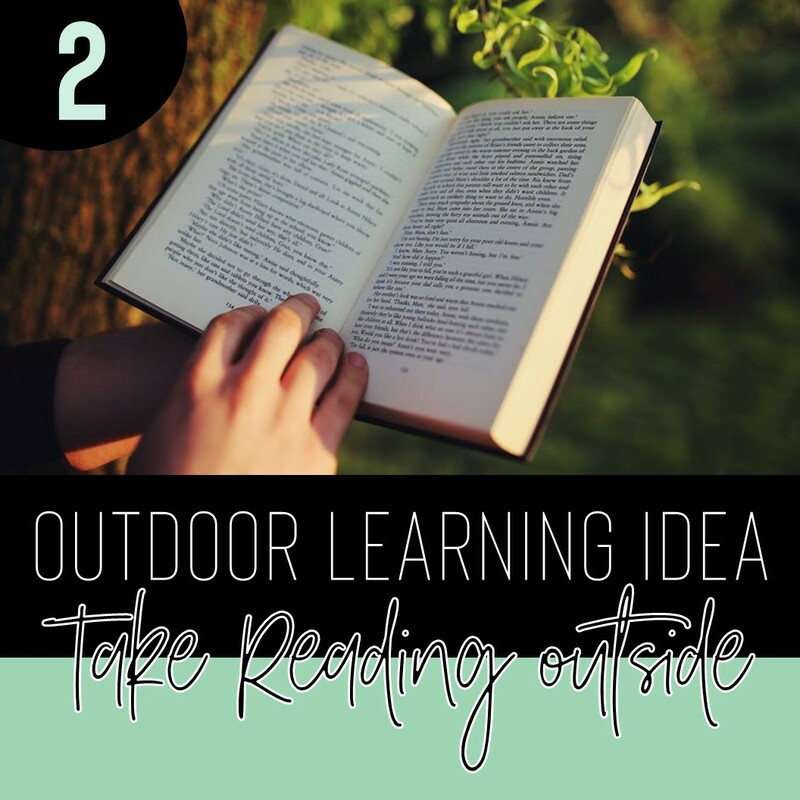 Take reading outside to engage and destress! 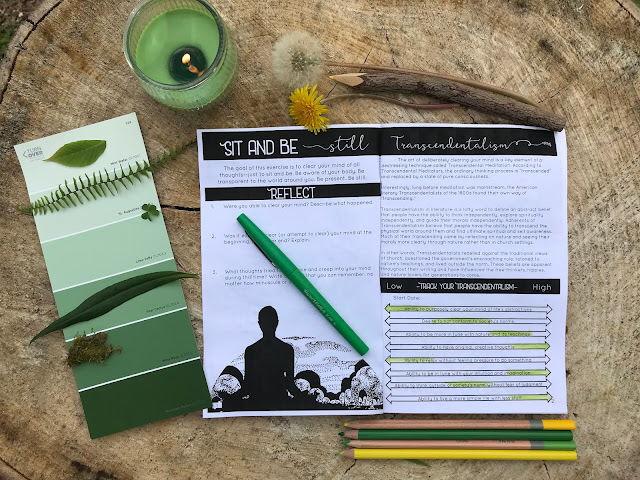 Reading itself is great for your health, but when you pair it with the health benefits of being outdoors, you and your students get a double dose of the feel-goods. 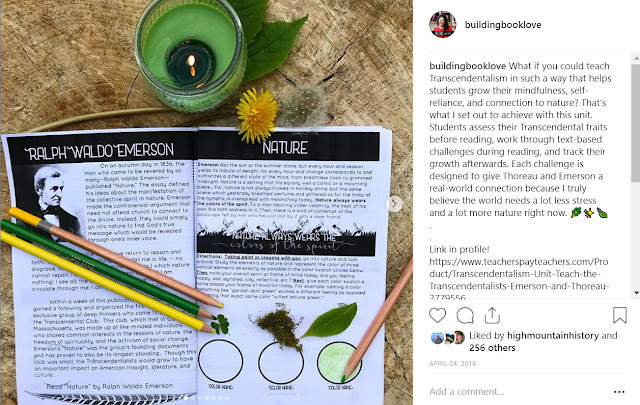 For other Transcendentalist teaching ideas, Language Arts Classroom also connects to Thoreau with nature. To fully grasp Thoreau’s meaning, students should experience what his inspiration. Try this (free) modern piece about Thoreau. Lastly, Abby from Write on with Miss G agrees that a great opportunity to take learning outdoors is through a study of Transcendental texts, such as Emerson’s “Nature” or Thoreau’s “Walden.” Your students can take a fun “Are you a Transcendentalist?” personality quiz, dissect excerpts and tackle essential questions in Transcendental learning stations, and complete activities that make this complex literary movement relevant with this bundle of resources. 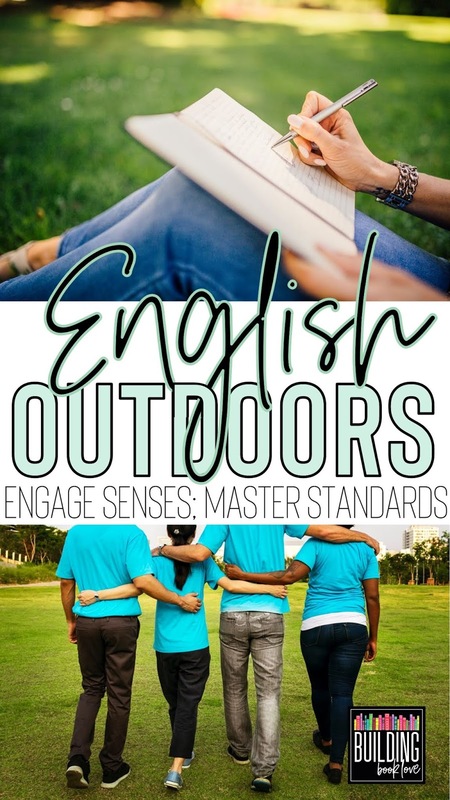 Even if you aren't teaching Transcendentalism in American Literature, you too can reap the benefits of reading outside with your students. As Abby from Write on with Miss G puts it, there’s nothing better than watching students read and discuss books in the sunlight, so why not take your students outdoors during your next novel unit or literature circles? Check out this post for engaging ideas for novel units and these literature circle resources. As a final motivator for trying reading outdoors, Melissa from Reading and Writing Haven adds that most teachers are incorporating some form of independent reading (If you aren't, find out why you should!) Try taking students outdoors to read when the weather is conducive. 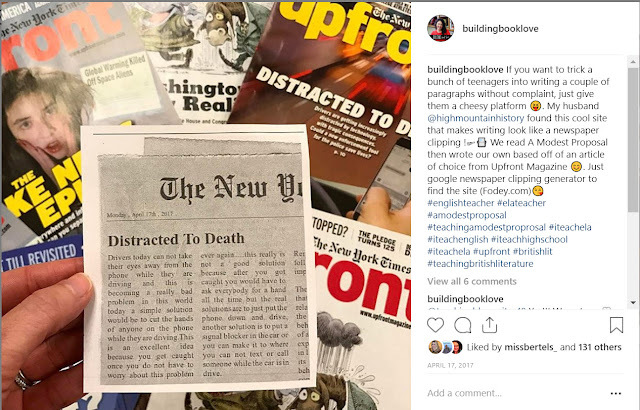 If you’d like a way to keep students focused on their book, ask them to write down one way they are thinking about their novel on a reading comprehension bookmark or have them respond to a thoughtful journal prompt. You might be surprised how something simple like an environment change can alter a student’s attitude about reading. 3. Take performances outside to set the scene! Amanda from Mud and Ink Teaching knows that poetry is an incredible experience to share with students outside of the classroom. Whether you have a beautiful lawn outside school or a great, funky cafe nearby, once you’ve started having students write their own poetry, take them somewhere outside of your classroom to PERFORM! You might even be lucky enough to find some venues where students can see others compete in slam poetry. If you’re just getting started with slam poetry and need a quick helping hand, here’s where to start. "When students are practicing for a performance it can get noisy!" says Amanda from Amanda Write Now . Having small groups of students going outdoors is the perfect solution. What performance activities can you incorporate into your English classroom? Students could Act Out Scenes from Books! This is an exciting group project that students absolutely love. And they’ll love practicing outdoors just as much. It supports comprehension and analysis. 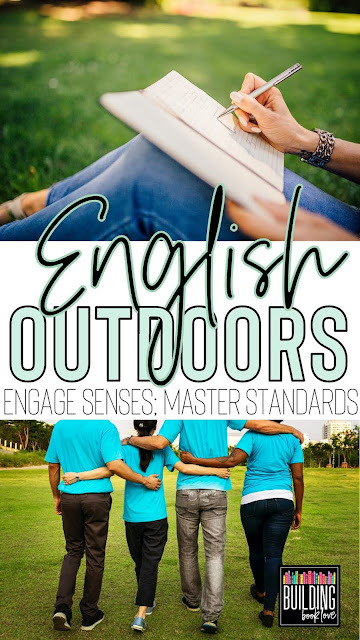 This outdoor activity definitely appeals to kinesthetic, auditory, visual and naturalistic learners. 4. 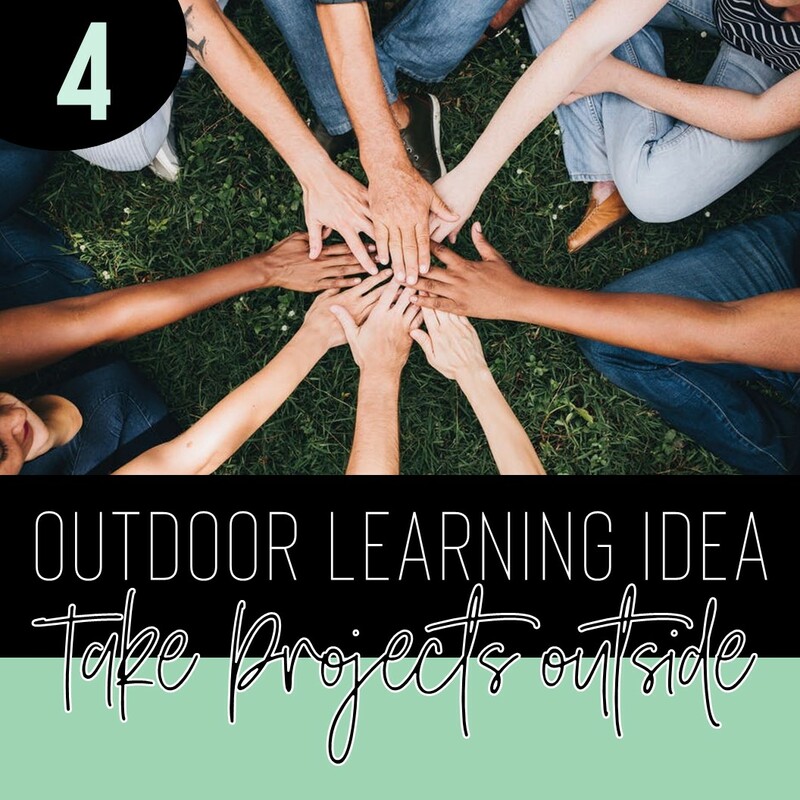 Take projects outside for real-world learning! 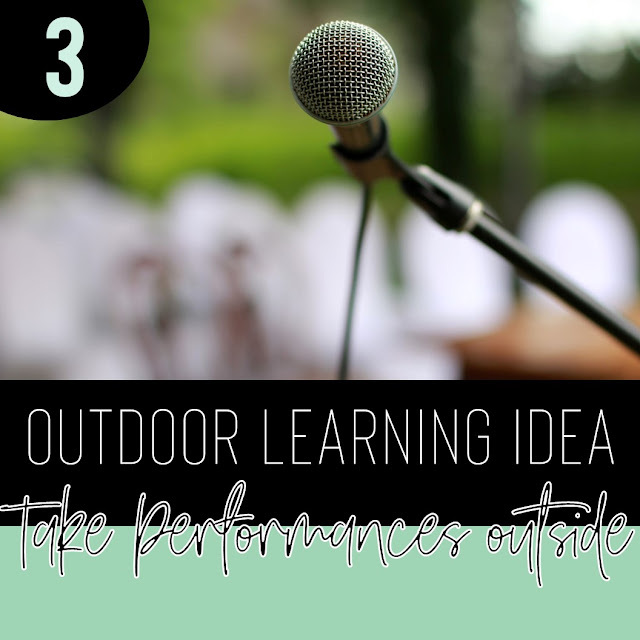 Taking learning outdoors and outside of the brick and mortar of a school building can be transformative in student learning. For years, Amanda Cardenas has been cultivating classroom that seeks to confront social justice by having students design and develop community service projects. She calls it Be the Change. The project begins with a research and writing element, and then once those tasks are completed, students move into local elementary schools, community gardens, local food banks, and other places outside of school to start making a real difference in their communities. Other projects naturally fit well in an outdoor area too. Bringing it back to the Transcendentalist unit, you can find lots of earthy projects in this post in including one amazingly nerdy video game that promotes Thoreau's mindset. 5. 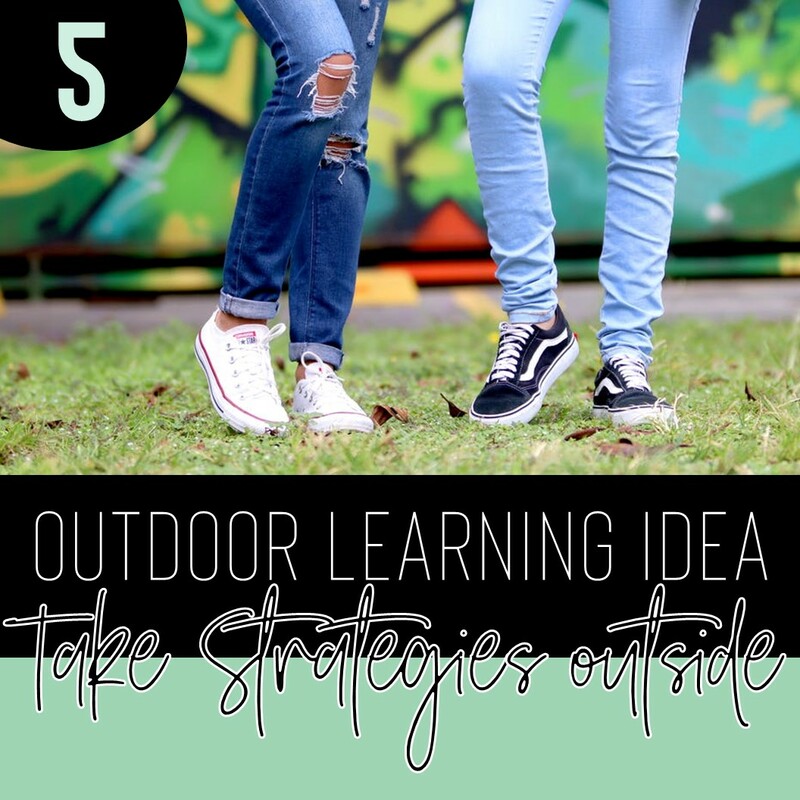 Take movement strategies outside for kinesthetic learning! As the research shows above, being outdoors can do so much to stimulate learning. Likewise, studies also show that movement is essential for focus and new connections in the brain. If you can pair movement strategies in an outdoor location, your efforts will result in twice the amount of brain benefits! You can read a list of 10 Ways to Add Movement in the ELA Classroom here. Even before the powerful “Disrupt the Canon” movement started, I wanted to better diversify my traditional British Literature Curriculum. My mission has only increased with time, as I become more convicted about the importance of having a wide variety of representation in our English literature curriculum. Most will agree that it is easy to diversify American Literature, but when it comes to British Literature, teachers must think outside the box, already brimmed full of white male authors. To gain other perspectives on this issue, I have posed the question of “How do you add voices of color to your British Literature curriculum?” on my Instagram and in an active Facebook group with over 5,000 English teachers. I also stalked the #disrupttext tweet thread and have compiled what I’ve learned, citing those who added to this conversation. When you don’t see a citation, this idea is my own. Though you will see a few ideas for adding female voices, I tried to only focus on voices of color since adding female authors to British literature isn’t as challenging (Mary Shelley, J.K. Rowling, etc.). While this list is far from extensive, I truly hope that it helps you to start the work of diversifying your British Literature class because no matter what the set curriculum is, it’s important to showcase a wide variety of literary voices. I think the best way to set the tone for a diverse British Literature class is by showing the Ted Talk “The Danger of Single Story” by novelist Chimamanda Adichie. It specifically calls out the danger of examining literature through a single story, background, or culture. Kate Kelly on FB says that she plays this Ted Talk then has students respond with this prompt: How does this talk contradict, challenge, or confirm your own beliefs? Beowulf- After reading Beowulf this semester, I tried a new essay topic, “Everyday Epic Hero,” in which we followed the lesson plan found here: Teaching Tolerance: Modern Day Heroes. Though this lesson plan is geared toward lower grade levels, it’s easily adaptable to senior level British literature. This lesson is about realizing what it means to be an upstander and highlights voices of color from all over the world. The upstander section of this lesson can easily pair with Wiglaf’s character when he is the only one to be an upstander while Beowulf is fighting the dragon. This entire dragon scene can turn into a metaphor for fighting the beast of injustice because the dragon represents a force that is threatening the peace and community of the Geats. Another idea comes from Dana Warren who uses a NewsELA article titled “Scientists ask: Did traditional gender roles ever apply to Viking warriors?” If you don’t have a NewsELA account, here is a similar article: Famous Viking Warrior Was a Woman, DNA Reveals. Both of these articles tie in very well with the Ted Talk listed above because both touch on how the assumption that all warriors being male has affected everything from areological digs to archaic hero stories. The Canterbury Tales- Since most British Literature teachers transition from the Old English in Beowulf to Middle English in The Canterbury Tales, this makes a perfect unit to discussion history of the English language as well as code-switching within our own language. Chaucer’s work is important because he chose to write it in English rather than the language of power at the time, French. He understood his ideal audience and wanted to appeal to a certain group of people through his word choice. The linguistic phenomenon of code-switching pairs perfectly in this unit because it is the act of altering how you express yourself based on your audience. Here are two insightful articles to pair with your discussion of language and power: “Sorry to Bother You, black Americans and the power and peril of code-switching” and “Five Reasons Why People Code-Switch” from NPR. Get this free download here! As you can see, the Anglo-Saxon language got pushed to the bottom because those in power held the privilege at the top. After students worked this out using my room-sized Feudal triangle, they broke off to discuss the following: Do any remnants of the feudal system exist today? Do those with privilege still hold the “power of language?” How does this play into code-switching? For another idea, Kate Kelley on FB chimes in a great feminist article to pair with “The Wife of Bath’s Tale”: “What Women Want: A Brief History” from The Atlantic. During my research, I came across a podcast produced by the Folger Shakespeare Library. Though the entire episode may be a little too lengthy and advanced for students, the first ten minutes gives firsthand accounts about what it means to be a Black person who performs or appreciates Shakespeare. Here is the episode: African Americans and Shakespeare. If you feel that your students can better focus on the content while they are listening, here are my podcast coloring notes. I recommend using either the general note template or the comparison template to compare African performance heritage to Shakespearean performances. SHEIR: Back to that original question, is Shakespeare for everyone? In a way, the African American experience with Shakespeare may be the best evidence that it’s true. The late poet Maya Angelou made this point on the BBC’s Every Woman program in the 1990s. Much earlier in the show, she talked of being raped as a child. Later, the interviewer was talking to her about her artistic influences. Her answer is one that African American scholars still quote today. INTERVIEWER: And I understand as a child, you loved Shakespeare, so was he a real inspiration to you as a poet? MAYA ANGELOU: I was so amazed that he could know so much. But when I came to one, well, a number, of sonnets, I thought that it must, it’s got to be a black girl who wrote that, a black girl who had been sexually abused and who had a grandmother who left her. And look upon myself and curse my fate. Ann Marie Kumm responded that her late professor, Imitiaz Habib, was a leading Shakespeare scholar who explored people of color in Shakespeare’s work. Topics include racial impersonation on the Elizabeth stage and Black lives in the English archives. Lastly, Lanelle Campbell on Instagram uses Drake’s “Hotline Bling” in comparison to Sir Thomas Wyatt’s “Thy Flee From Me.” When I did a quick google search for a lesson plan for this, one with links popped up here: Poem and Song Comparison. A Modest Proposal- After reading "A Modest Proposal", I have students choose a current issue for which to write their own modest proposal. While I allow students to write about the issue they care about the most, I like to give some thought-provoking articles prior to letting them brainstorm their own topic. Students also enjoy using this newspaper clipping generator to "publish" their modest proposals. 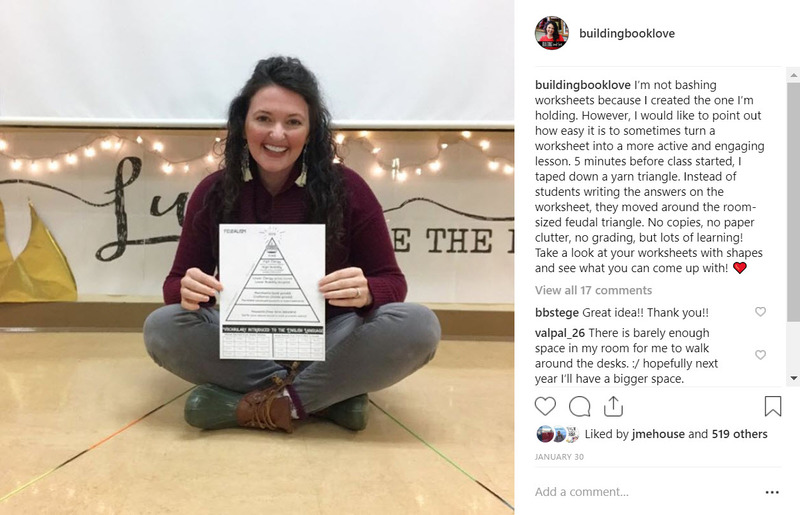 Lanelle Campbell on Instagram does this same assignment, having her students address topics that need to be discussed on a personal, political, or social level. I don’t have much for this time period, but I always try to incorporate Tiger symbolism through the lens of Asian culture when we read William Blake’s “The Tyger.” This article from Animal Planet is a great resource. For another Romantic time period idea, J.cansal on Instagram commented that she really loves the new retelling of Pride and Prejudice by Ibi Zoboi which is called PRIDE and set in Bushwick Brooklyn with characters of color in modern times. I cannot wait to pick this one up because I love this author and this latest book sounds fantastic! Finally, the modern era brings us a wide variety of diverse voices, but sadly, it seems that I always run out of time before delving into the voices of Woolf or Achebe. However, I do make sure to include as many social issues as possible into our two novels, Lord of the Flies and Animal Farm. For Animal Farm, I teach it like it’s my civic duty. Scarily, there’s no shortage of real-world comparisons to be gleaned from this classic. In my blog post Teaching Animal Farm like it's your civic duty, I list lots of ideas for taking a social stance with Animal Farm. As I stated earlier, this list is far from extensive. Instead of calling OUT what it’s lacking, I invite you to come IN to the conversation and add your ideas in the comments below. I will try to continuously update this page as I add to my canon. “You Need To Read These Books By British Authors Of Colour”. In terms of adding new texts, here is what is working amazingly on curriculums over here at the moment!! The Handmaid's Tale - yep we are counting it as British Literature as it was written in England! Heart of Darkness by Conrad - a short 19th century read, better than any Dickens and really excellent for all current affairs! Some of the most breathtaking description ever. Can you tell I love it? I wouldn't bother with reading a whole Austen novel these days. The film adaptations are so wonderful. We do a spritely jaunt through about 6 of them in one week and then vote on which to watch. Extracts from Wolf Hall - actually now I think about it these might work well with Macbeth and even Cant Tales. I also love Ishiguro's Never Let Me Go. Though Instagram can sometimes make teachers to feel less than enough or overwhelmed, I have found that a healthy amount of time spent on Instagram brings me a lot of inspiration, camaraderie, and ideas. 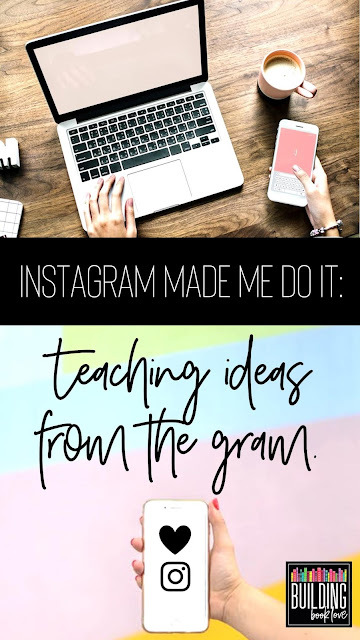 Here are a few of my favorite ideas from the #teachergram community. 1. 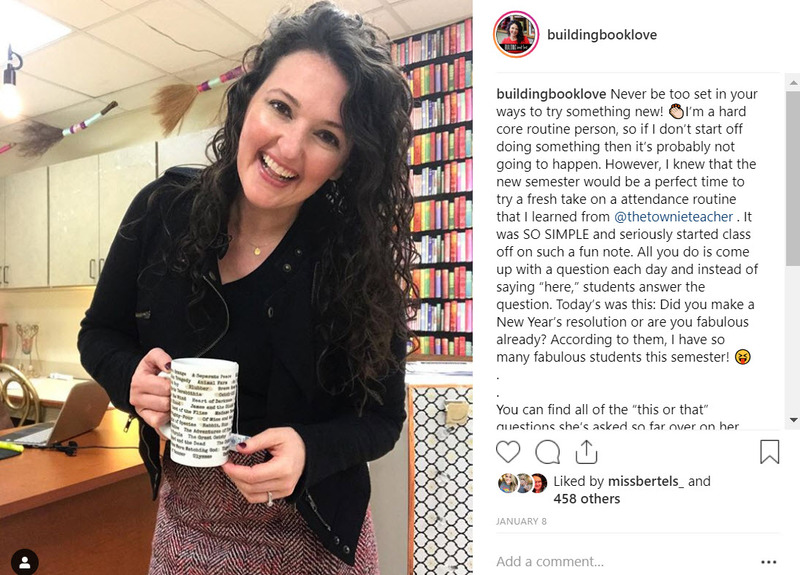 Community Building Attendance Questions- I changed up my attendance routine based on a fun idea from @thetownieteacher . Instead of saying a student’s name and having them answer “here” or “present,” she asks a this or that question for a fun twist. Students reply with the answer to the question if they are present. I started doing this in January and can testify that it makes the start of class much more fun, fosters classroom community, and creates a routine that students look forward to each day. She has a lot of her questions saved on her story highlights (see above), and I made a handy list to refer to on days that I’m out of prompts. You can get the printable list I made by signing up for my newsletter below. 2. Easy, Low-Budget Classroom Transformations- I first started following @theengagingstation because of her high school level classroom transformations and have gotten so many great ideas for my own classroom over the years including this one dollar and one hour LOTF transformation. It's funny how the universe works because Staci ended up being a presenter with me at our Keeping The Wonder Workshop where she presents on how to make magic for secondary students. 3. Book Raffles- I started following @Rockytopteacher because she's a fellow Tennessee teacher. I wasn't expecting to get many teaching ideas from her since she teaches lower grades, but boy was I wrong! 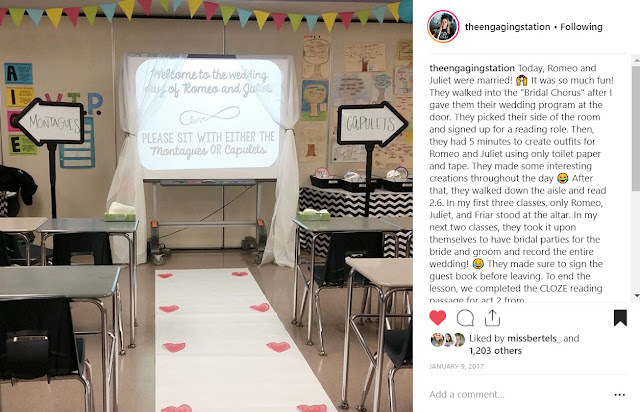 She has since opened me up to following lots of other elementary teachers, and it's been amazing to see just how similar students can be whether they are in second grade or secondary! One "elementary" idea I got from Sarah is her book raffle strategy. 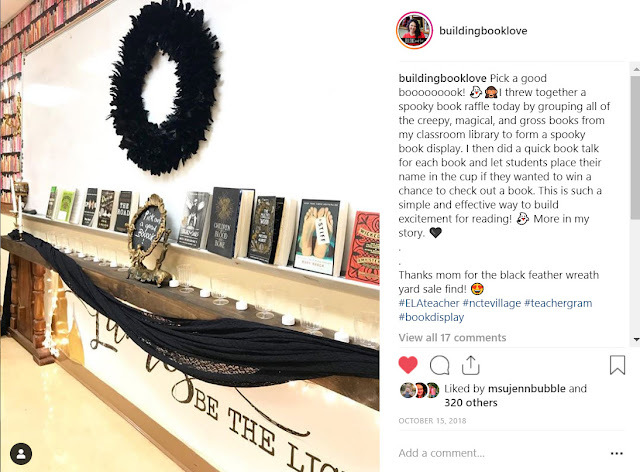 To get students excited about reading, she hosts frequent book raffles in which she talks up the books then lets her students enter for the first chance to read the book. This is such a good strategy for students of any age! My high school students get really excited when they win the first chance to check out a book, and it gives me an opportunity to talk up current books that I know they will love. Below is the Halloween book raffle I hosted. 4. 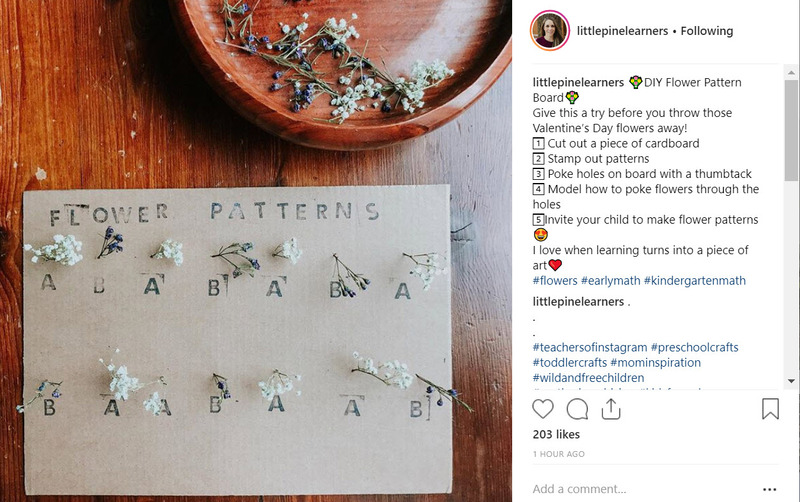 Nature Learning- Speaking of following younger grade teachers, an account that brings me endless joy is Little Pine Learners. She is a nature (home) schooling mom and her account is full of nature crafts and hands-on learning. I adore how she uses nature in her lessons! In fact, her account greatly inspired my hands-on Transcendentist Unit for big kids! It's one of my favorite creations because I believe so deeply in its content. 5. 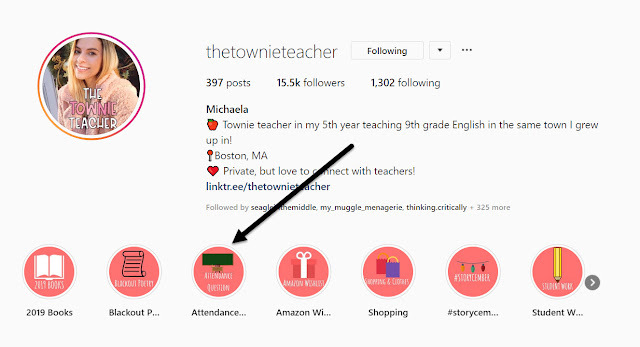 Diversity-It's hard to put this next part into specific examples, but Instagram has given me a platform to connect with and learn from diverse teachers. As one blogger put it, I work in a Lilly white school, so making connections with teachers of color has been one of the biggest benefits of my teachergram. While it shouldn't be their burden to educate me, I appreciate every opportunity to learn from their stories and teaching methods. Here are a few accounts I learn from on a weekly basis: @LoveTanesha (her Colorism story highlight and post are a must read), @valencia_valencia (every post she does is a work of art) and @thedapperap (he cleverly uses bitmojis in his stories to teach important topics) @estherbrunat (she's hilarious and I love this post). These are just a few teachers who come to mind, so I encourage you to seek out your own accounts to follow and learn from. If you are interested in following teachers who inspire you, I highly suggest looking on Instagram for ideas. You can easily bookmark ideas (see the little bookmark in the bottom left corner of my photo above) to use for reference and ask questions for clarification. 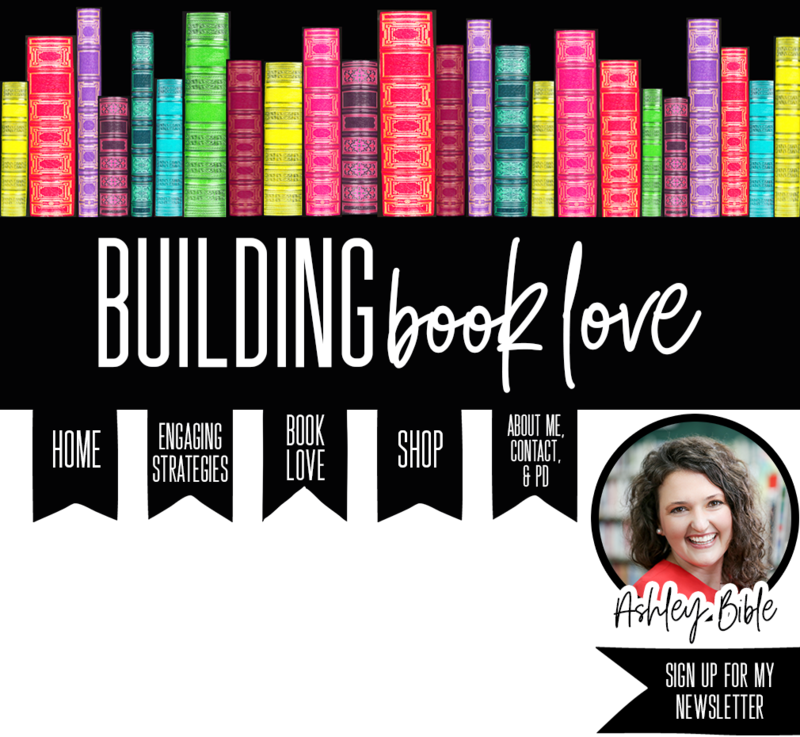 If you would like to connect with me, I'm on Instagram @BuildingBookLove . Leave a comment with your favorite accounts to follow!